GLENDALE, Calif., Feb. 1, 2018 /PRNewswire/ -- Applebee's® Neighborhood Grill + Bar is wowing guests again this month with their newest Neighborhood Drink, the DOLLARMAMATM. The beachy new libation – made with white rum and Applebee's new, proprietary mix of pineapple, lime and orange juices with hints of coconut and cherry – will have you feeling summer vacation vibes all February long. This special Bahama Mama cocktail offer is available from open to close at participating Applebee's restaurants every day this month – for only a buck! 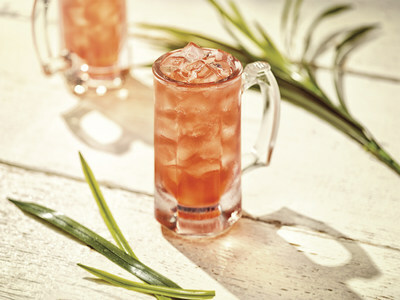 "We're proud to introduce our own unique twist on the popular Bahama Mama drink to our guests," said Patrick Kirk, vice president of beverage innovation at Applebee's. "We know Applebee's fans are going to love the tropical fruit flavors of the new recipe we created just for the DOLLARMAMATM. For $1 you can experience the perfect winter getaway in a glass."